Step 4: Let's create one more section. Step 5: Enable Divi's dot navigation. Step 6: Publish the page. Step 7: Let's add some styles to make the sections fullpage. Step 8: Scroll to sections using mouse wheel. Step 9: That's it! Go and test it out. Full Page designs are cool isn’t? Well, they look elegant and trendy. 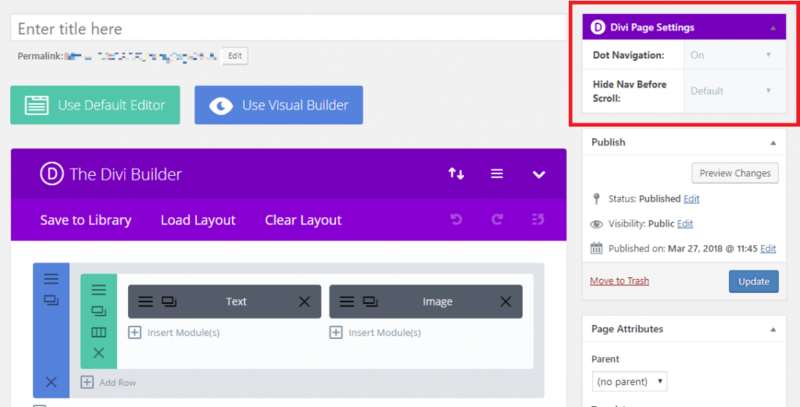 In this tutorial I will explain how to create Full Page sections in Divi page builder and scroll to next section with a mouse wheel. The world knows how to create a section in Divi, but those sections are not Full page by default. Once you have full page sections, Divi’s dot navigation will allow to jump to each section by clicking the respective dots. But wouldn’t be great if the visitor can jump to a section with scroll of a mouse wheel? Well, here’s how you can do that. 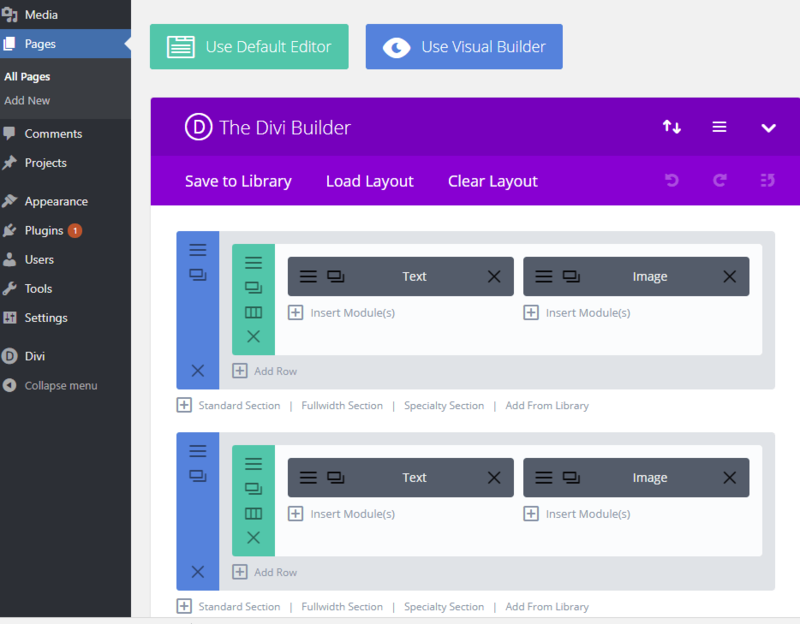 Click on Pages > Add New and click on “Use The Divi Builder” button at the top of the editor (just below the title field) to edit the page using Divi page builder. By default, Divi will create first section. Now, start adding modules into the section as shown in the below image. 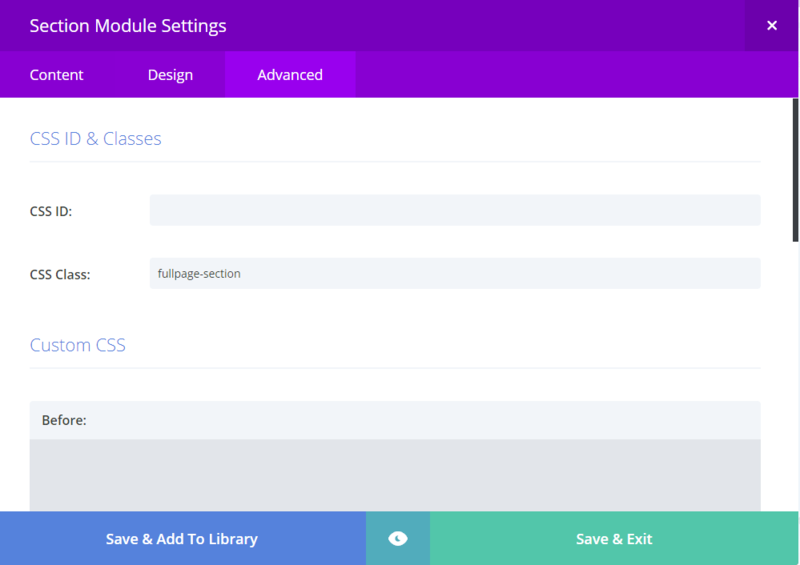 Click on Section settings (icon) > Advanced and add “fullpage-section” in CSS Class field. Step 4: Let’s create one more section. To do that, we will duplicate the existing section by clicking "Clone section" icon. You might also want to set different background colors for sections. Step 5: Enable Divi’s dot navigation. Lookout for "Divi Page Settings" meta box in the top right corner of the WP editor. Click on "Dot Navigation" pull down and select "On". Step 7: Let’s add some styles to make the sections fullpage. Copy and paste the below code into a page "Custom CSS" or in Divi > Theme Customizer. Remember Step 3, where we added a CSS class called "fullpage-section". The above style tries to vertical align contents within the section. 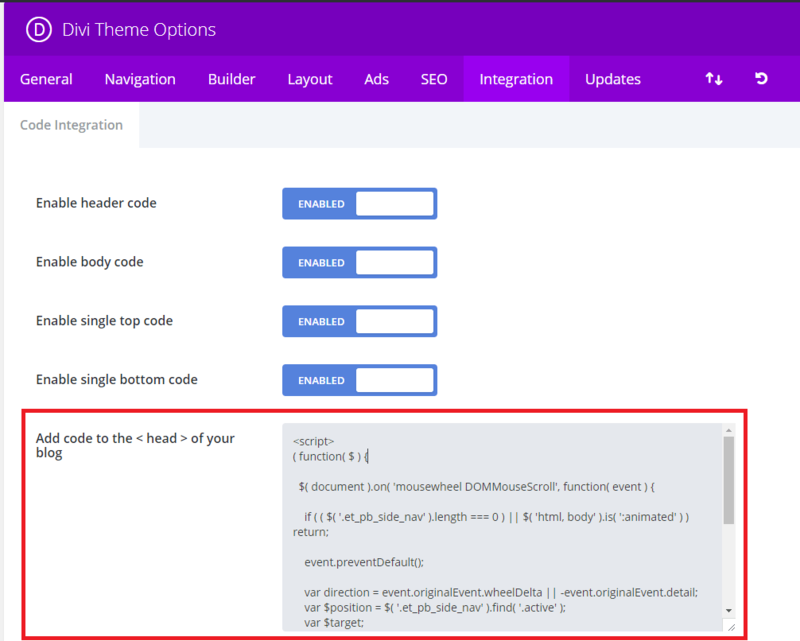 Copy the above code and go to in Divi > Theme Options > Integration and paste in “Add code to the < head > of your blog” text box. Once done, click “Save Changes” button at the bottom. Step 9: That’s it! Go and test it out. You can also integrate fullPage.js with Divi to achieve the same with some additional features. This works with my mousewheel, but when I scroll with the touchpad on my laptop it scrolls all the way to the top/bottom. Also, when I scroll quickly with the mousewheel it is a bit laggy at first. Any recommendations on how to fix these issues? Exactly what I needed. Works like a charm on desktop! Any thoughts on how to get this feature on mobile browsers (iOS) to work as well?